The Week Magazine recently published an article that highlighted seven of the most charming homes in college towns throughout the country. The article featured homes of different character from locations such as Montana, Arizona and New Hampshire. 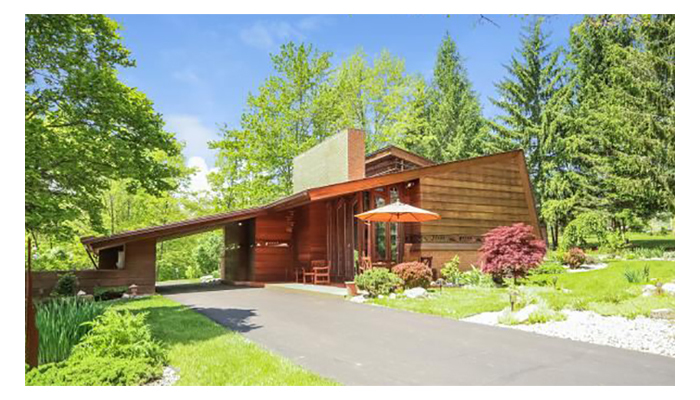 Howard Hanna agent, JoAnn Barrett, has a beautiful Frank Lloyd Wright home from 1979. Frank Lloyd Wright designed this two-bedroom home in 1938. In 1979, a University of Michigan professor bought the plans and had it built. The house features walls of layered wood and brick, built-ins, carved-wood cutouts, and angled windows. To check out the entire story, click here.